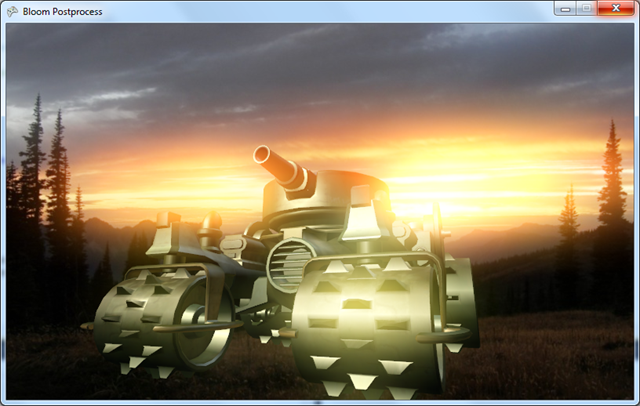 Ok, silliness aside, is it possible to implement an efficient bloom effect on Windows Phone without custom shaders? // Adjust these values to change visual appearance. // Shrink to half size. // Shrink again to quarter size, at the same time applying the threshold subtraction. // On the first pass, scale brightness to restore full range after the threshold subtraction. // On the final pass, apply tweakable intensity adjustment. // Combine the original scene and bloom images. 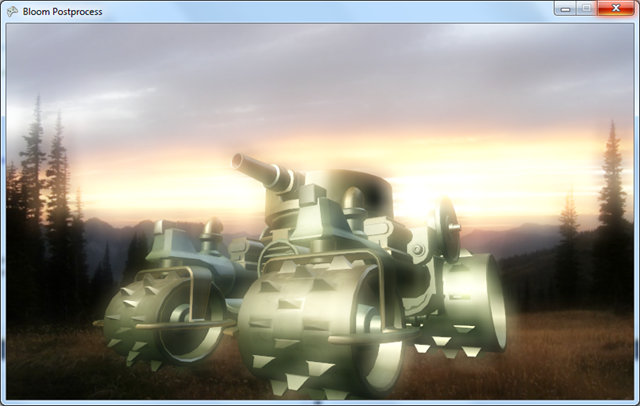 High quality blur filters can be expensive, so most bloom implementations do a cheap bilinear downsample to lower resolution before the ‘real’ blur. The original XNA sample operates at half resolution, but in a nod to the limited bandwidth of mobile GPUs, I made this version shrink to quarter size. It is possible to implement Gaussian blur (or indeed any multi-tap filter) as a series of additive and subtractive blends with suitable offsets, but that gets expensive for large filter kernels. 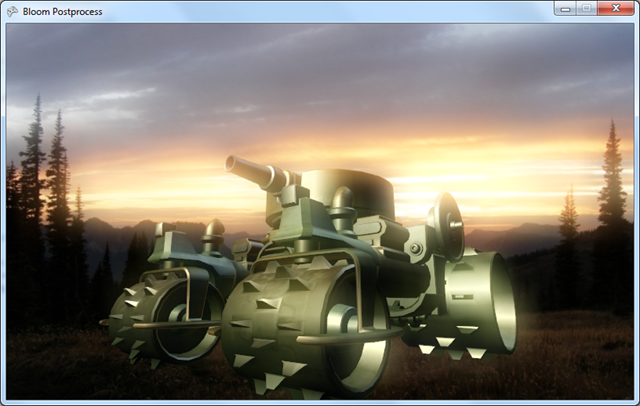 Instead I chose a Kawase blur (originally developed by Masaki Kawase for the Xbox1 game Wreckless), which cunningly exploits GPU bilinear filtering to get a not-quite-as-good-but-still-ok result more cheaply. The threshold subtraction is perhaps the least intuitive operation. We want (source - threshold), but the alpha blending hardware only gives us (source - destination). So, we simply clear the destination rendertarget to our desired threshold value before drawing the source image! There are two scaling operations in this bloom design: one to preserve full color range after the threshold subtraction, and a second after the blur to adjust intensity of the bloom. For efficiency, I apply these adjustments during the first and last blur passes, getting them for free as a side effect of drawing work that was already taking place.